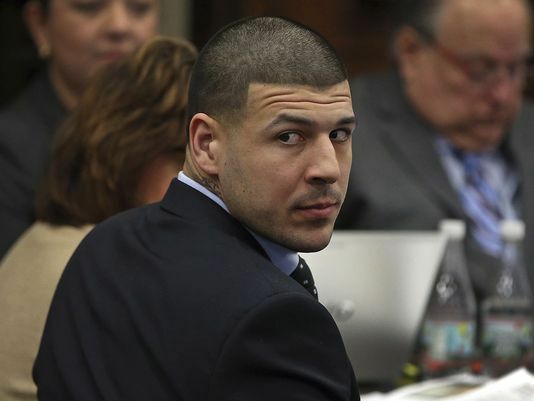 On May 7th, Judge E. Susan Garsh threw out the conviction of former Patriots tight end Aaron Hernandez for the murder of Odin L. Lloyd. The dismissal came following his suicide in his jail cell. Due to a Massachusetts law known as abatement ab initio, which states “if a defendant dies after being convicted of a crime but before the appeal process is completed, the conviction will be vacated,” the judge had no choice but to abandon the trial. Hernandez’s attorney has been in touch with the previous NFL star’s former agent to understand how the abatement could affect his past contract with the club. Apparently, Hernandez’s family might be able to collect the $6 million left on his contract and because the case was dismissed, he technically didn’t violate the contract he had with the Patriots. Jose Baez was asked whether or not Hernandez’s suicide was a planned event in an last ditch effort to make the Patriots pay the rest of his contract to his fiancée and daughter. “I don’t give it any shred of credibility at this point,” Baez replied when asked the question whether the suicide was planned. Hernandez’s suicide note to his fiancée which was released last week, stated in one line “you’re rich,” leaving many to speculate if the suicide was indeed planned to do in death what he couldn’t do in person… Take care of his family. Before his death, Hernandez was found not guilty of the 2012 shootings of Daniel de Abreu and Safiro Furtado after being named a prime suspect.